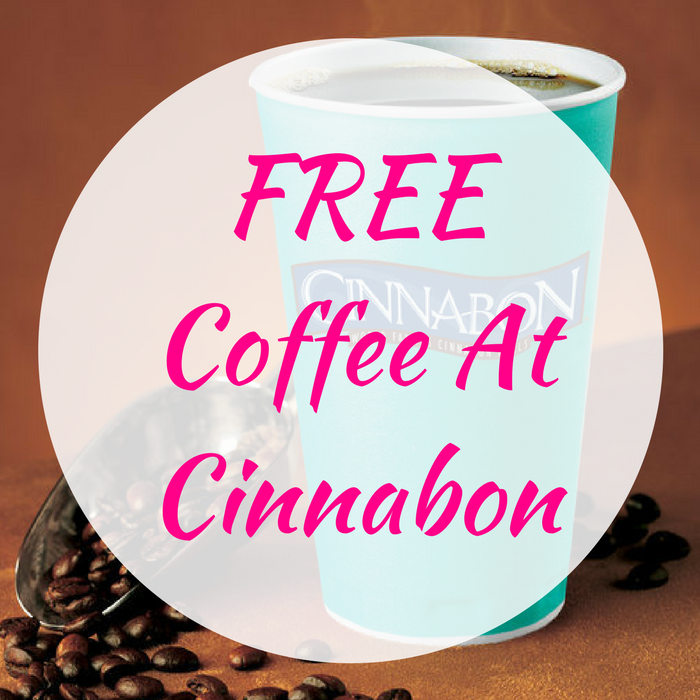 You are here: Home / Great Deals / FREE Coffee At Cinnabon! On September 29 only! In celebration for the National Coffee Day, Cinnabon participating locations are giving out FREE 12oz Coffee! Yum! Mark your calendars now!